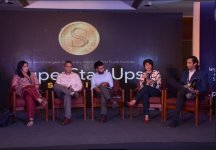 The initiative is the second edition of the SuperStartUps Awards that debuted in 2016 with a vision of providing something of incredible value to its winners that would differentiate it from other start-ups competitions.In the words of Shivjeet Kullar, Council Leader of SuperStartUps Awards – “We are glad to be presenting the second edition of SuperStartUps Awards. We have gone bigger and have increased our horizons this time. We have extended this property by increasing the scale of this initiative; the startups which are being chosen for award categories are not just from India but abroad as well. India, as you know, holds a very important place in the global startup scenario, hence an award like this holds a lot of value. Also this time, we plan to take SuperStartUps beyond awards and into workshops and knowledge sessions. People will get a taste of this at the award ceremony." It is an award chosen by netizens of the world - for at the end of the day, the success of a startup depends on how resonant its product is among the masses. With this vision, SuperStartUps Asia undertook extensive research to as certain the array of companies that were creating buzz and making an impact. In 2017, the SuperStartUps India Awards celebrated companies changing the Indian startup landscape - Byju’s, Zivame, PropTiger, Bluestone and Milkbasket were among some of the many winners. This year, the same awards are going global, recognising excellence across Asia. Being a SuperStartUp provides its winners with the ultimate validation – it shows companies how the public is reacting to their idea. Accompanied by a research report, they get a holistic understanding of what aspects of their business are working and what needs to be tweaked to provide a product that is universally lauded. Furthermore, they get access to the who’s who of the investor board from across Asia to secure funding for expanding their operations. The SuperStartUp label is the highest form of recognition – a certification of entrepreneurial excellence and the ultimate seal that the company is customer-approved. Any start-up that has an online model and is operating in India, Dubai, Singapore, Sri Lanka, Malaysia, Bangladesh and Indonesia, is eligible to enter for acceptance in the SuperStartUps program. SuperStartUp allows the start-up to be classified as one of a kind startup, receive a top of the line research report with all relevant success parameters, and receive the trophy at a high profile function; winners are guaranteed access to opening doors of conversations with investors and fundraisers in India, China and Southeast Asia. SuperStartUps debuted in 2016 with a vision of providing something of incredible value to its winners that would differentiate it from other startup competitions; it is an award chosen by netizens of the world - for at the end of the day, the success of a startup depends on how resonant its product is among the masses. With this vision, SuperStartUps undertook extensive research to ascertain the array of companies that were creating buzz and making impact. In 2017, the SuperStartUps India Awards celebrated companies changing the Indian startup landscape - Byju’s, Zivame and PropTiger were among some of the many winners. This year, the same awards have expanded to other countries, recognising excellence across Asia.